These Sweepstakes from Makita, Billabong, CMT, and Yu-Gi-Oh! are the online sweepstakes people are entering right now. 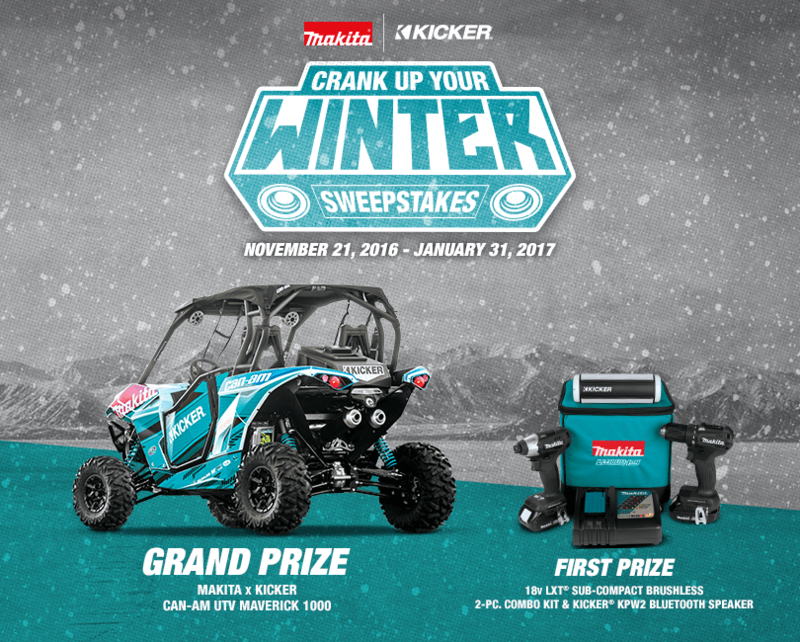 Try your luck and enter for a chance to win great prizes like a 2016 Makita/Kicker Edition Can-AM Maverick1000 UTV, $1,000 worth of Billabong products and accessories, a flyaway trip to see Brantley Gilbert in concert, and a trip to the premiere screening of Yu-Gi-Oh! THE DARK SIDE OF DIMENSIONS movie! Coca-Cola & HMSHost Holiday Emoji Instant Win Game: Text the Snowflake emoji to 30364 or play online at cokeplaytowin.com/hmshostholiday and you could win one of 1,100 Amazon.com gift cards. Justice Wish Wonderland Sweepstakes: Go to ShopJustice.com/WishWonderlandSweepstakes and help your girl create a wishlist for a chance to win a $100 gift card during the Justice Wish Wonderland Sweepstakes. Eligibility: Sweepstakes open to legal U.S. residents in continental United States (excluding residents of Puerto Rico, Hawaii and Alaska) who have reached the age of majority in their state of residence at the time of entry and maintain a Facebook account. End Date: January 31, 2017 at 11:59 PM. Limit: Limit one (1) entry per person and per valid e-mail address + bonus entries. Prize(s): 2016 Makita / Kicker Edition Can-AM Maverick1000 UTV. Eligibility: Open only to legal residents of forty-nine (49) states of the United States and the District of Columbia who are at least thirteen (13) years of age or older as of November 18, 2016. End Date: December 16, 2016, 11:59 PM PST. End Date: 11:59:59 PM (CT) on December 18, 2016. 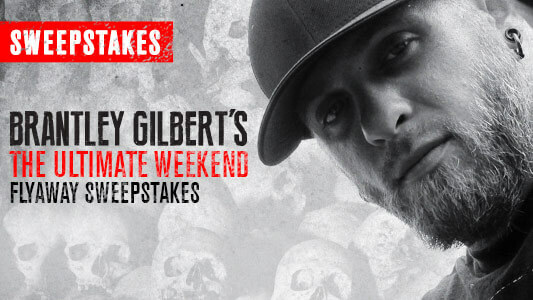 Prize(s): Win a trip to Kansas City, MO to see and meet Brantley Gilbert. Eligibility: Sweepstakes is open to legal U.S. residents of the 48 contiguous United States or the District of Columbia, who are at least 6 years of age at the start of this Sweepstakes and who have Internet access. End Date: December 2, 2016, at 11:59pm (ET). Limit: Limit one (1) entry per person, household or email account. Prize(s): A trip for two (2) to New York City for 3 days/2 nights from January 23, 2017-January 25, 2017, to attend the premiere screening on January 24, 2017 of Yu-Gi-Oh! THE DARK SIDE OF DIMENSIONS movie.